What's in the new Uwharrie Trail Guide? 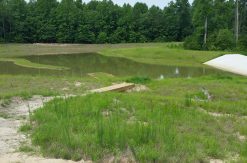 What’s in the new Uwharrie Lakes Region Trail Guide? With over 200 more pages than the first edition, the second edition includes more trail areas as well as a number of new trails. 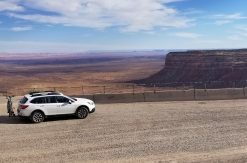 Key features such as trail history notes, detailed maps, elevation profile and mileage charts, and maps/profiles for popular trips using multiple trails can still be found inside. The largest set of “new” trails are the equestrian trails in the Badin Lake Area. Many of these trails existed in a “renegade” fashion at the time the first edition was published, but they are now signed and better maintained. Significant progress has been made in protecting access to the full historic length of the Uwharrie Trail and making it available to hikers again. If you thought the Uwharrie Trail was just 20 miles long, this guide can enlighten you. Details are included for the full route that is nearly twice that long! 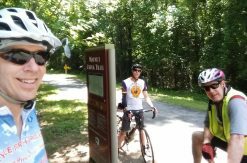 Several other areas with enough trail for a nice half-day of hiking are now included, such as Albemarle City Lake Park, Boone’s Cave Park, and the NC Zoological Park. A PDF of the table of contents pages is available, and the chapters are listed below. A PDF of the table of contents pages is also available. 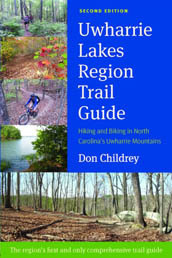 If you don’t have a copy of the new edition of the Uwharrie Lakes Region Trail Guide yet, you can order your copy now!